This popular nine day, eight night tour, takes in the ’Highlights’ of this beautiful country. 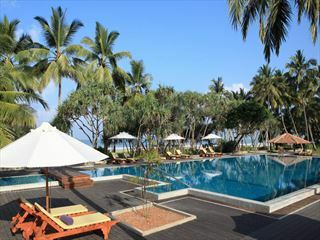 You will experience a variety of Cultural and Ecological sites, while experiencing the delights of ’True Sri Lanka’. Nine day eight nights the tour takes in: Sigiriya, Dambulla, Kandalama, Polonnaruwa, Minneriya, Anuradhapura, Matale, Kandy and Pinnawela. You will get the opportunity to climb the 5th century Sigiriya rock fortress, visit the Dambulla rock temple, take a Jeep Safari through the national park, visit Kandi the capital of Sri Lanka, enjoy an elephant safari, and lots more. You will be met on arrival at Columbo Airport & transferred to Kandalama. You will be collected and transfered from Kandalama to Sigiriya. Today you will climb the 5th century Sigiriya rock fortress which is a world heritage site, built by King Kashyapa (477-495 AD). The ’Lion Rock’ is a citadel of unusual beauty rising 200 metres from the scrub jungle. The rock was the innermost stronghold of the 70 hectare fortified town. A moat, rampart, and extensive gardens including the renowned water gardens ring the base of the rock. Visit the world-renowned frescoes of the ’Heavenly Maidens’ of Sigiriya, which are in a sheltered pocket of the rock approached by a spiral stairway. These frescoes are painted in earth pigments on plaster. 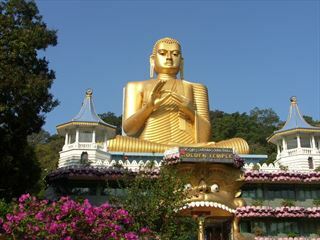 Here you will visit the Dambulla rock temple. It was built by king Walagambahu in the 1st century B.C. and it is a World Heritage Site. It is the most impressive of Sri Lanka’s cave temples. The complex of five caves with over 2000 sq. metres of painted walls and ceilings, is the largest area of paintings found in the world. It contains over 150 images of the Buddha of which the largest is the colossal figure of the Buddha carved out of rock and spanning 14 metres. Visit Polonnaruwa, which was the 2nd capital city of Sri Lanka built in the 11th and 12th centuries AD. Here you can see the ruins of the Royal Palace, the Gal Viharaya where 4 splendid statues of the Buddha in ’Upright’, ’Sedentary’ and ’Recumbent’ postures carved out of rock can be seen, the Audience Hall, the Lotus Bath, the statue of king Parakramabahu, and the Parakrama Samudraya - a lake built by King Parakramabahu the great. There are also monuments of famous places of worship such as the Shiva Temple, the Lankathilake, the Watadage, the Galpotha, the Kiri Vehera and the remains of a former Temple of the Tooth Relic. At Minneriya take a Jeep safari through the National Park. You will experience wet-lands, which have international importance, animal and plant species, wild elephants, various amphibians, local and immigrant bird species. About 160 species of birds, 09 amphibians, 25 reptile species, 26 fish species and more than 78 butterfly species have been found in this area. There are also bamboo trees and wild elephants. 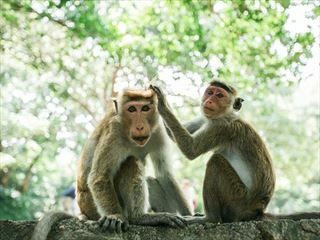 Visit Anuradhapura. It was the first capital and undoubtedly the grandest city of the ancient Ceylon. It is the home of two World Heritage Sites. The area is full of architectural and historical sites. Visit the Sri Maha Bodhi (Sacred Bo-Tree) which is over 2200 years old, the oldest historically documented tree in the world. The Brazen Palace (2nd century B.C), the 1600 stone columns you see are all that is left of a magnificent multi-storied residence for monks. Ruwanweliseya (2nd century B.C) is the most famous of all the Dagobas. It originally depicted the perfect ’bubble shape" that modern restoration has not been able to accurately reproduce. ’Samadhi’ Buddha statue (4th century AD) is one of the most famous statues, depicting the Buddha in a state of ’Samadhi’ or deep meditation. Isurumuniya rock temple (3rd century B.C) is well known for its rock carvings. Free for Bird watching around Kandalama. The 55 acre forest around the Kandalama tank where the hotel is situated has a variety of trees - most over 100 years old. Around 90 varieties of birds including migrants - babbler, blue flycatcher, oriole, paradise flycatcher, warbler, wagtail, barbet, bee-eater, Brahmin kite, owl, teal, pelican, make their home here. Participate in an Elephant back safari in the surroundings of Kandalama. This excursion will take you along one of the most picturesque tracks through the jungle. Visit a Spice garden in Matale to see the different spices that Sri Lanka is famous for. Here, you will see different spices, how they are grown and processed. You can also witness a cookery demonstration. Peradeniya botanical garden was first built, for pleasure by a Sinhala king and was expanded by the British. 147 acres in size, the garden boasts an amazing variety of trees, plants and flowers. Visit a tea plantation and factory, here some of the best tea in the world is produced. The visit includes, learning about the tea manufacturing process, grading and finally tasting! The Kelani River (the broadest river in Sri Lanka) flowing through Kitulgala was the location for the Oscar winning movie, Bridge on the River Kwai. On the hill above this town, a prehistoric cave was recently discovered containing large middens of shells from unknown civilizations.